The key to the watchOS user interface needs more attention from Apple. The state of the Apple Watch is good. Tim Cook continues to hail its popularity, albeit without any hard sales figures. Most pundits felt it outshined the iPhone at last month’s Apple media event. 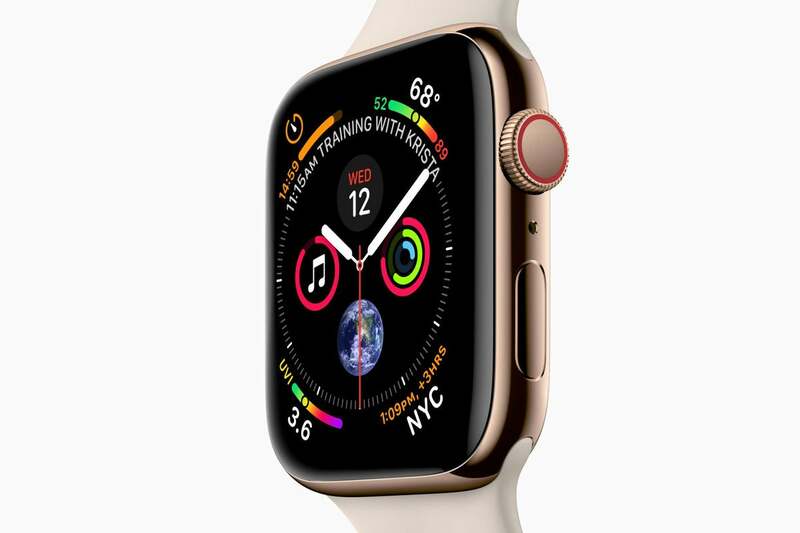 The new Apple Watch Series 4 seems to have been received well by reviewers. watchOS 5 is a successful update that enables all sorts of new capabilities. And yet one vitally important aspect of the Apple Watch seems to not be getting the attention it deserves within Apple. In fact, one might argue that it’s the most important part of how we interact with the Apple Watch. And you see it every single time you flip your wrist and check the time. What’s the home for the Apple Watch? 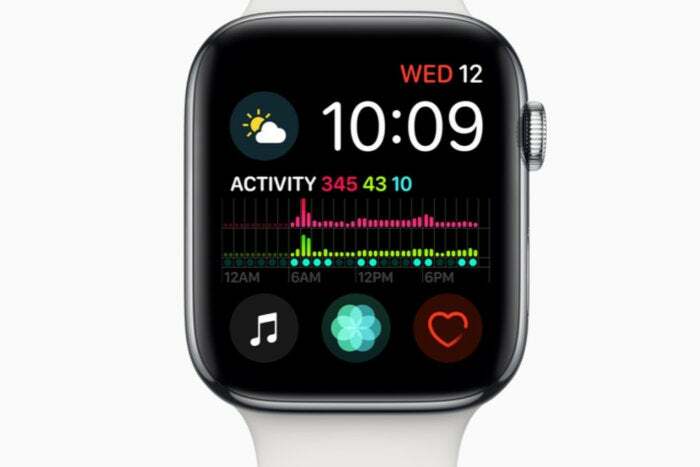 Initially, Apple thought it would be a safe bet to mirror the app-centric approach of iOS on the Watch, which is why the app screen with all of those little circular icons was a major feature. But over time, I think it became clear to Apple that most people didn’t want to dig around in a tiny app viewer to launch individual apps. Today, you can always see a list of all apps by pushing the crown—though I highly recommend you force-press on the collection of circular icons and replace it with an alphabetical list view if you haven’t done that already. But the real action is happening in complications. Apple adding more complications to watch faces seems to address people's preferred way to interact with the watch. It turns out that the best way to interact with Apple Watch apps is to add them as complications to your watch faces. They surface data (or just provide a quick-launch icon in some cases) and you can tap to see more. (The recent and favorites apps list, which you can see by pressing the side button, is the other bedrock of the Apple Watch experience.) Today, visiting the app launcher screen feels like a failure to me. Let’s look at the Infograph faces, since they’re one of the highlights of the new, larger Series 4 display. They introduce a bunch of new complication types that take advantage of the extra space. But a lot of Apple Watch users have been surprised that they can’t add older complications to those faces. Apps need to be updated to explicitly support the new complication style, which was only introduced to developers on the day the Apple Watch Series 4 was announced. It’s kind of hard to believe that Apple didn’t bother with some basic compatibility layer, something that lets the old complications work in the new space until there’s time for an update. Even more bonkers is the fact that Apple didn’t update some of its own apps to support the new complication format. If you’re someone who wants to keep quick access to the Messages app on an Infograph watch face, you can’t. Apple just dropped the ball. Or consider the Explorer face. 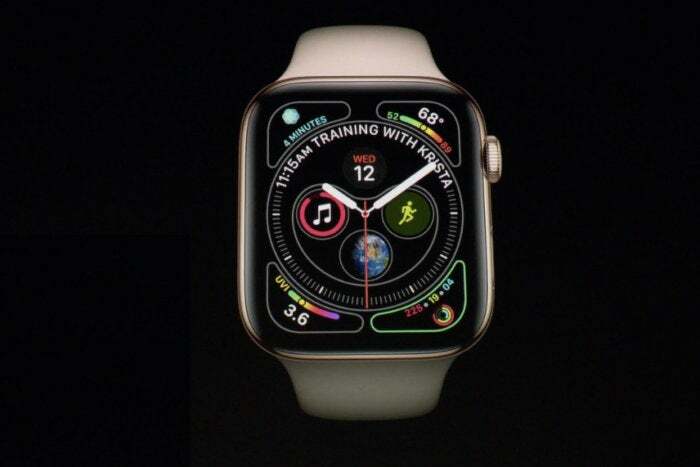 When Apple introduced the Apple Watch Series 3 with cellular capabilities last year, it added a new face that would show the status of your watch’s connection to the cellular network. It is literally the only watch face that has that capability. Why not build that feature as a complication? Why not let other faces display that information? A year later, the Explorer face remains unchanged, and remains the only place you can view connection status on a watch face. My favorite watch face is Utility, which looks very much like the classic Swiss Army watch face I wore for more than a decade. But even on the Apple Watch Series 4, it doesn’t have access to the new complication styles that are available on Infograph faces. The issue isn’t one of design or space—the dial on the Utility watch face is the exact size of the dial on the Infograph face. The space in the corners for complications is identical. And yet my preferred watch face can’t use any of the fancy complications Apple introduced for the Series 4. What sense does that make? Since the day the Apple Watch was announced, developers have clamored for the opportunity to design custom watch faces. That may never happen—there are plenty of reasons for Apple to consider the face designs sacred and something the company must control itself. But if Apple insists on having a monopoly on face design, it’s incumbent on the company to be a better steward of those faces. Watch Faces are the face of watchOS. The complications on them are the face of every watchOS app. The design and implementation of Apple Watch faces needs to be more than an afterthought.